On the one hand, the clearly defined lines and discreet edge radius give the kitchen a delicate and puristic look; on the other hand, the structurally complex and robust wooden joints highlight traditional craftsmanship of the highest order in a fusion of urban and classic styles. 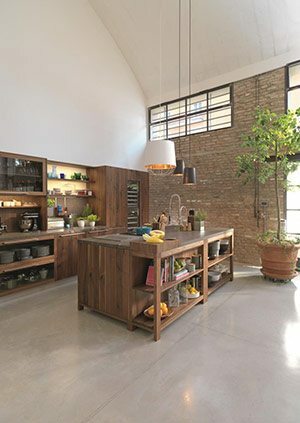 „The loft kitchen is the modern country cottage kitchen for those who love wood, enjoy cooking and appreciate authentic craftsmanship and natural materials,“ said Sebastian Desch, explaining the focus of his design. 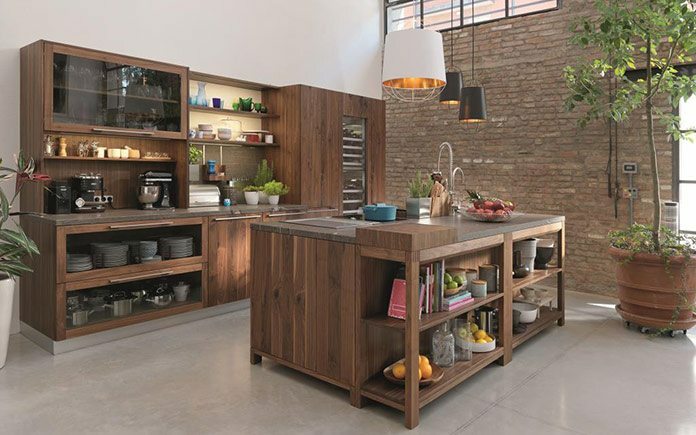 Whether you want a straightforward row of kitchen units or a kitchen diner with a cooking island, loft provides the perfect solution to meet any requirements and suit any living space. If used as a dining room and meeting place for the whole family, the loft kitchen can be combined with the add-on loft dining table with its integrated cutlery draw or extension panel. 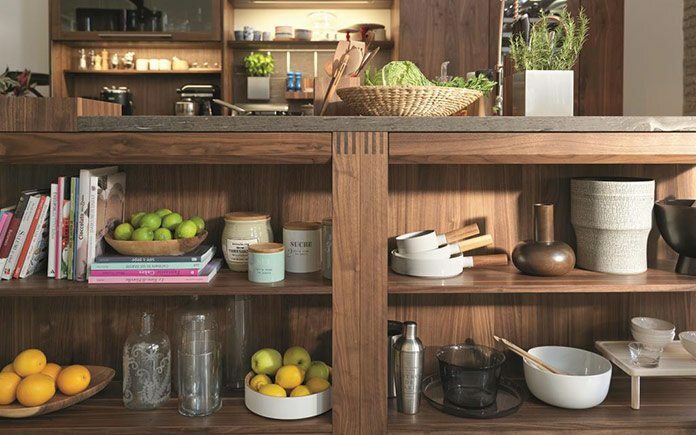 A further array of flexible design options is opened up by an open shelving unit which is just as suitable for cooking islands as for kitchen units. 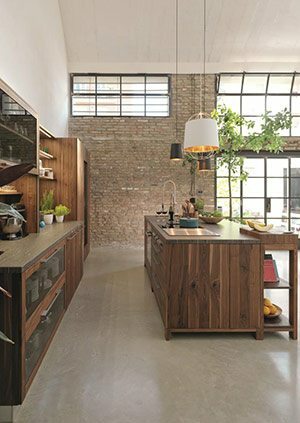 Technical details such as the cushioned sliding door on the top cabinet and the LED lighting make loft a modern-day kitchen for cooks, offering exceptional convenience. Practical extras such as the end grain butcher block and juice rim, which can be integrated into the work top, highlight the everyday practicality of the design. 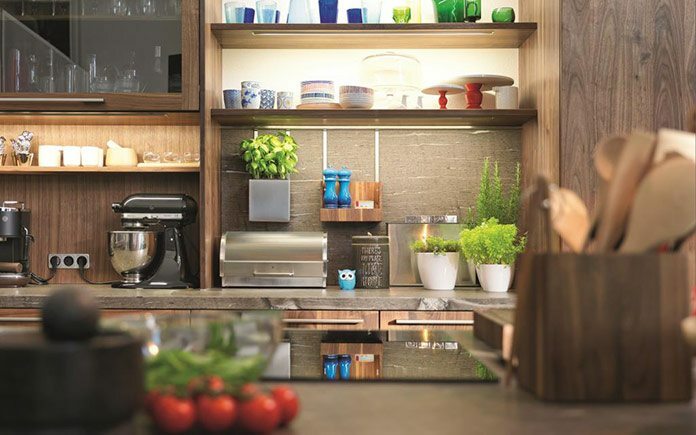 Used as a recess system or arranged on the worktop according to preference, the boxes made of stainless steel or TEAM 7‘s seven wood types can hold fresh herbs, kitchen utensils, spices or a knife block. 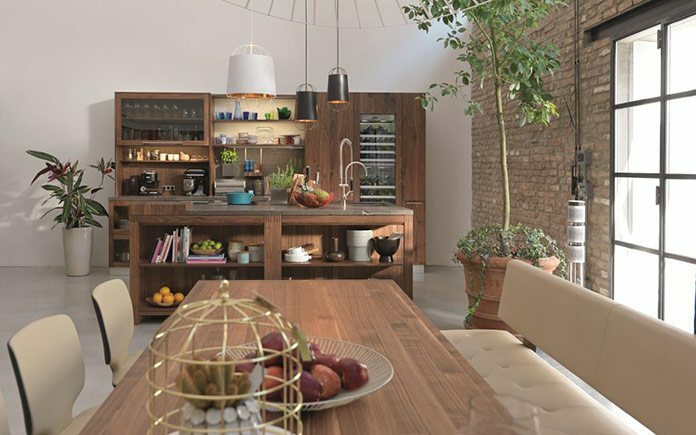 The loft kitchen combines the natural qualities of wood and its characteristic positive properties with the high-quality workmanship, hand-crafted features and exceptional functionality.